Working alongside the Roosevelt Park Neighborhood Association, the Fourth Annual Mayor’s Greening Initiative will be in the Grandville Corridor. In collaboration with Southwest Community Campus, students learn about Arbor Day, present a proclamation to Mayor Bliss, enjoy tree trivia, and 400 saplings are given away to the students. These saplings are sponsored by Spectrum Health. FRIDAY, APRIL 26 FROM 6:00 – 7:00 PM Tree Giveaway- we will be giving away 100 five gallon trees to Grand Rapids residents at Roosevelt Park. Trees are sponsored by Bartlett Tree Experts and LACKS Enterprises and are available on a first come, first serve basis so get there early! Saturday, April 27 from 8:30 – 11:30 am Tree Planting and Community Celebration – this year’s one-day community tree planting will take place in the Roosevelt Park Neighborhood. The Mayor’s Greening Initiative is a partnership with the Mayor’s office, Friends of Grand Rapids Parks, and the City’s Forestry Department as a way to engage the entire community in reaching our city’s 40 percent tree canopy goal. However, our work is not done. In 2017 we had to remove 1,500 dead, dying, or diseased trees that were a dangerous hazard to our community. You can find more information about this project here. While removing these trees was a necessity for the safety of the community, it does leave a gap in our City’s tree canopy. Through the Mayor’s Greening Initiative, the City’s tree planting efforts, and other Friends of Grand Rapids Parks tree plantings, we are steadily making strides towards the City’s tree canopy goal of 40%. We hope we can count on your partnership and support for the Mayor’s Greening Initiative as well as for future opportunities to help us reach our canopy goal. Why plant trees? 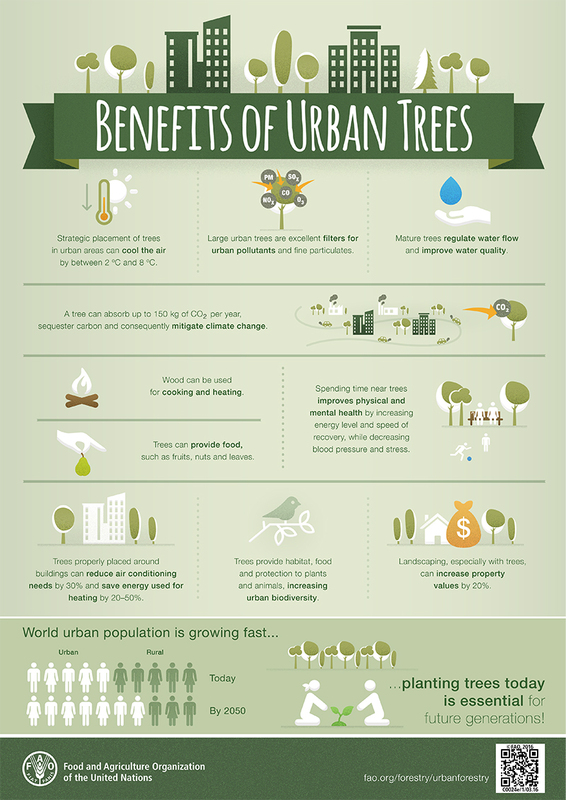 Click here to find out the benefits of urban trees. From cleaner air and cooler pavement to economic growth, trees can bring many different benefits to a community. Join the Mayor’s Greening Initiative and volunteer at the tree planting on Saturday, April 27th! Never planted a tree before? No problem! Our team will give you step by step instructions on how to plant a tree as well as provide all the tools and equipment you will need. Groups will work collaboratively with other volunteers and there will always be a tree expert in the area who will be able to answer any questions. You can register here to volunteer. Did you know that you can earn rewards for volunteering? By volunteering at the Mayor’s Greening Initiative, you can earn 500 points that are redeemable for discounts and products at local businesses. These rewards are available to both City residents and non-City residents alike. Start earning rewards today by signing up at mygrcitypoints.com! Sponsorship opportunities are available. If you would like to know more about being a sponsor please contact info@friendsofgrparks.org for details.